Aging Population: Population Aging is a shift in the distribution of a country's population towards older ages. This is reflected in an increase in the population's mean and median ages, a decline in the proportion of the population composed of children, and a rise in the proportion of the population composed of elderly. Population aging is widespread across the world. It is most advanced in the most highly developed countries, but it is growing faster in less developed regions, which means that older persons will be increasingly concentrated in the less developed regions of the world. Can a Low-Carb Diet Treat Osteoarthritis? 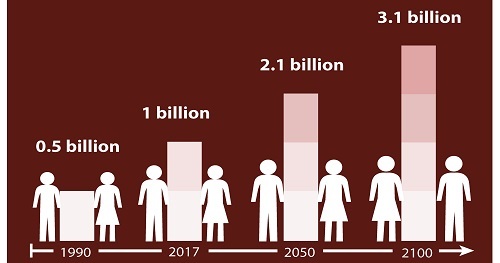 How big can our global population get?